Bad Dude Tito has had a rough go of things the last several months, even after having won the Hollywood Heritage Championship. 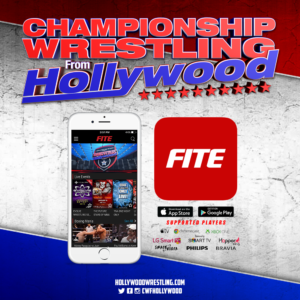 CWFH Minority Owner Nikko Marquez has kept Tito guessing when and where his next title defense will be, not letting the champion have more than a few moments to prepare. This Sunday, January 28th, at the Oceanview Pavilion, Bad Dude Tito will be defending his title against a new opponent who will be making his Championship Wrestling From Hollywood debut. 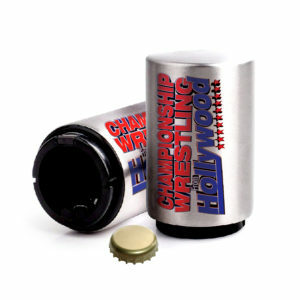 HollywoodWrestling.com learned that Nikko Marquez has named Jeff Cobb to be the next challenger to the Hollywood Heritage Championship. 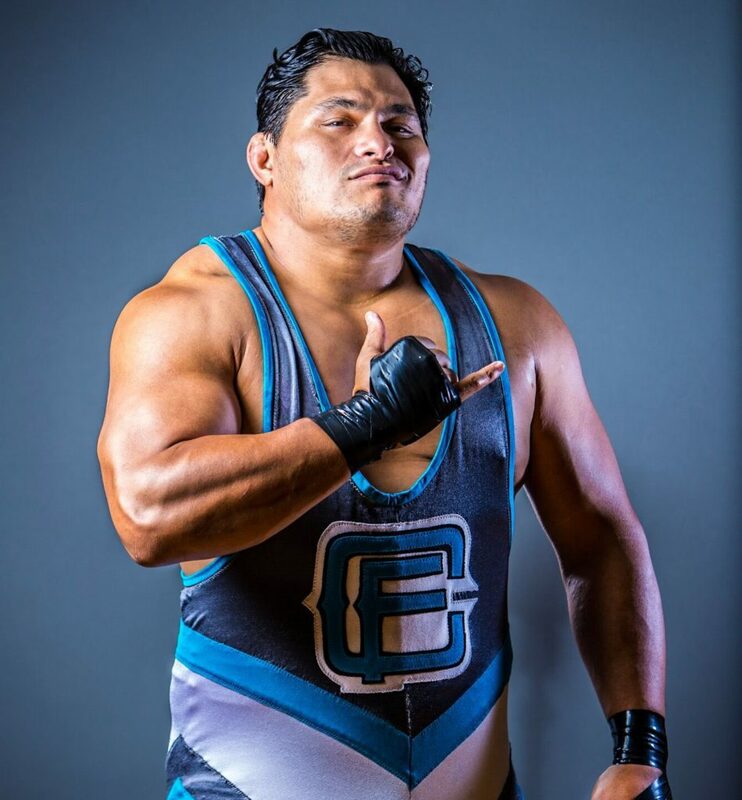 Though new to CWFH, Cobb has an impressive resume that makes him a worthy contender to the “Baddest Dude in Professional Wrestling.” The native Hawaiian competed as an amateur wrestler in the 2004 Summer Olympics before going pro and challenging opponents all over the world. His skills combined with his unmatched strength make Jeff Cobb a suitable contender to Bad Dude Tito. 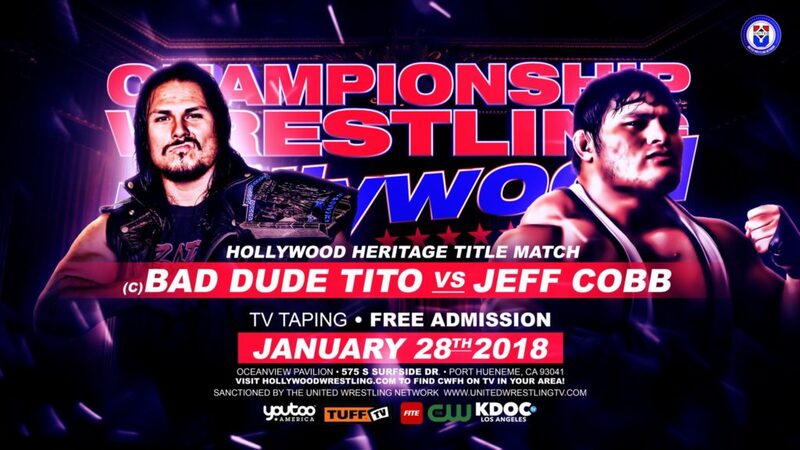 Will Bad Dude Tito have a game plan to retain the Hollywood Heritage Championship or will he be out-matched by Jeff Cobb? 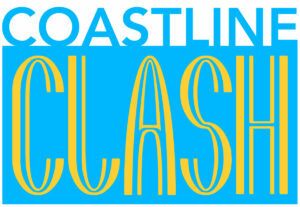 Come out to the Oceanview Pavilion on January 28th and find out!